A Heel Spur is a boney growth on the bottom of the heel bone. When the Plantar Fascia ligament pulls away from the bone, the body will deposit more calcium in a effort to protect the heel bone. These calcifications are rough and irregular, often forming a hook-like shape. Of course when you walk, the Plantar Fascia ligament still moves over this rough area causing mild to extreme pain. Heel Spurs are often a secondary ailment or condition of Plantar Fasciitis. Reducing the cause of the pain is vital to treatment. In most cases, the Plantar Fascia ligament is being overstretched and stressed. You will need to rest your feet to reduce the pain and swelling. Invest in some foot beds and heel pads to protect your heels and wear Prolotex Socks on a regular basis. 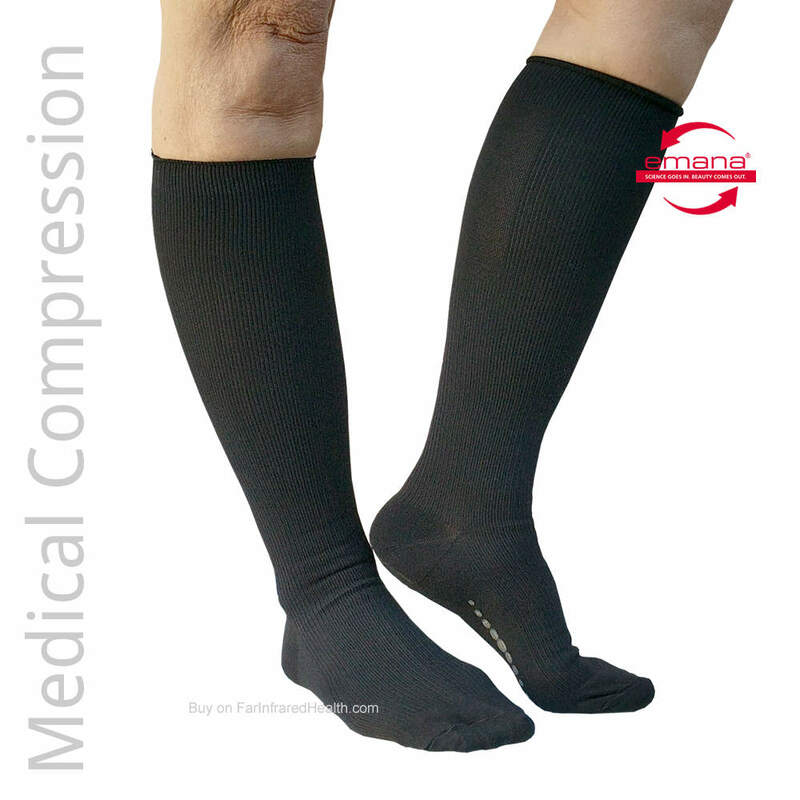 Far Infrared Energy emitted from Prolotex™ Bio Ceramic Socks does help to reduce the pain. FIR helps to increase the blood flow to the ligament, thereby reducing the inflammation. We recommend wearing Prolotex™ Far Infrared Therapy Socks to reduce pain & swelling and reverse some of the excessive boney growth development. Why Do Prolotex™ FIR Socks Help Reduce Heel Pain? The threads in Prolotex™ products are impregnated with a safe formula of bio-ceramics that emit beneficial far infrared rays (FIR). These waves of soothing energy penetrate deep into the tissues of your body and basically increase (stimulate) the molecular activity of the cells. The stimulation of the tiny capillaries and veins in your body dilate the cells and allow fresh oxygenated blood containing vital nutrients to reach afflicted areas. Swelling is reduced, accumulated toxins are released, and the healing process is promoted. In the case of boney growths on heels, the FIR energy helps to retard and reverse the calcifications. Far Infrared Rays are very helpful in reducing inflammation and relieving your pain. Depending on the severity of the heel spur and how long you have been experiencing symptoms, it may take a bit longer to feel the benefits of natural FIR therapy.